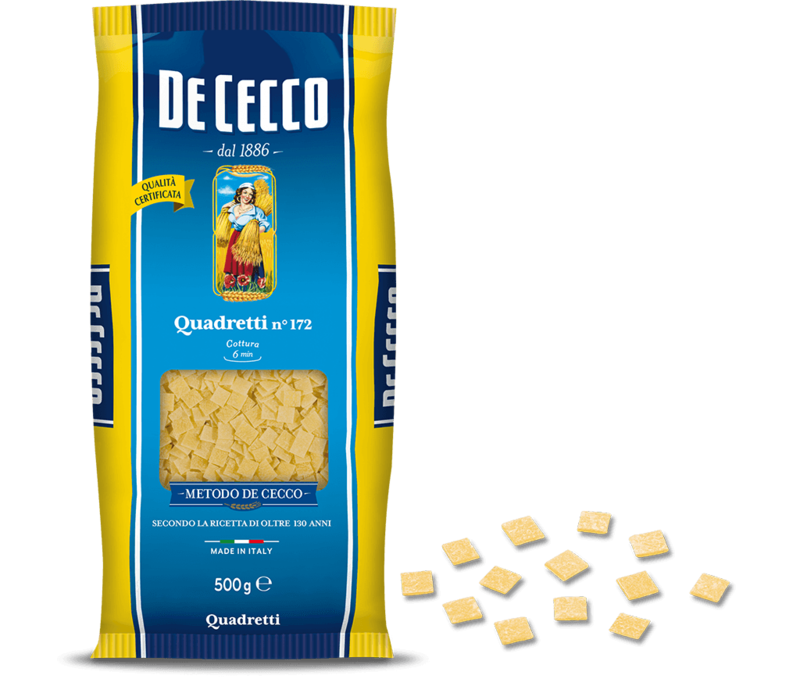 Quadretti (little squares) belong to the minute pasta family to be cooked in broth. This is a classic pasta made from leftovers and was usually created, as in the case of maltagliati, from the pasta that was left over from making fettuccine on festive occasions. This pasta is especially good for preparing clear soups such as broths or consommé, enhanced with croutons or vegetables cut in julienne strips. It can be used in thick creamy or velvety soups.